School is back in session and summer temps are still blazing here in the Phoenix valley. We didn’t travel much this past summer and so I’m itching to head elsewhere! We are so close to fall break, so I’ve been reminiscing about our travels from last summer and this past spring while I plan for new fall adventures! My family loves to take road trips and Skirt Sports is the perfect travel companion! There are a variety of styles that fit my requirements. I’m active so I prefer pieces that are comfortable and versatile. Thankfully Skirt Sports gear packs easily and they never show wrinkles. The Go Longer Skirt was my go to for a weekend to Palm Springs and a quick visit to Joshua Tree National Park. The shorties beneath the skirt are perfect for crawling in and out of the van. I felt comfortable climbing and hiking with the kiddos at JTNP and walking and relaxing around the resort. My Sorceress Skirt was perfect for dinner with a fun blouse or for the next morning’s long run, especially when paired with the Wonder Girl Tank. I love that the support in the tank means that I don’t have to pack an extra sports bra! One less thing to worry about!! Resort Casual to the extreme!! My absolute favorite and a packing necessity is the Racecation Dress. The dress is the queen of versatility! I’ve thrown it over my swimsuit when headed to the beach or to the resort pool. I wore this dress paired with my Redemption Capris during our JTNP weekend and the hubby says, “You look like the definition of resort casual!” I’m all about comfort and making sure I’m appropriate for area, so his unsolicited comment made me so happy. I also love to wear this dress with Redemption Shorties and snazzy sandals or heels for something a little dressier. The Pocketopia Capris are great for comfy travel days and are perfect for getting workouts in a crunch. I’m glad that I had mine packed for an impromptu beach front yoga class. The Mod Quad Skirt is so lightweight that I made sure to take it camping last summer. When we came across a sweet swimming spot, I didn’t hesitate and jumped right in… Skirt and all!! It dried so quickly and it was perfect for that hot summer day. I’ve got the travel bug. Have Skirt will travel! Where will the Skirt end up this fall? See something you like? Use 844Spar for 15% off regularly priced items at https://www.skirtsports.com/ or check my IG feed for any current sales or specials! 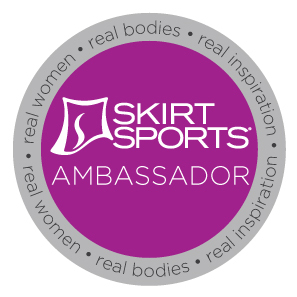 Disclaimer: I’m an ambassador for Skirt Sports and I received a discount and may be compensated for this post. All opinions are my own, I just love to share the Skirt Love! Posted in AmbassadorTagged Go Longer Skirt, pocketopia capri, racecation dress, Skirt Sports, travelBookmark the permalink.